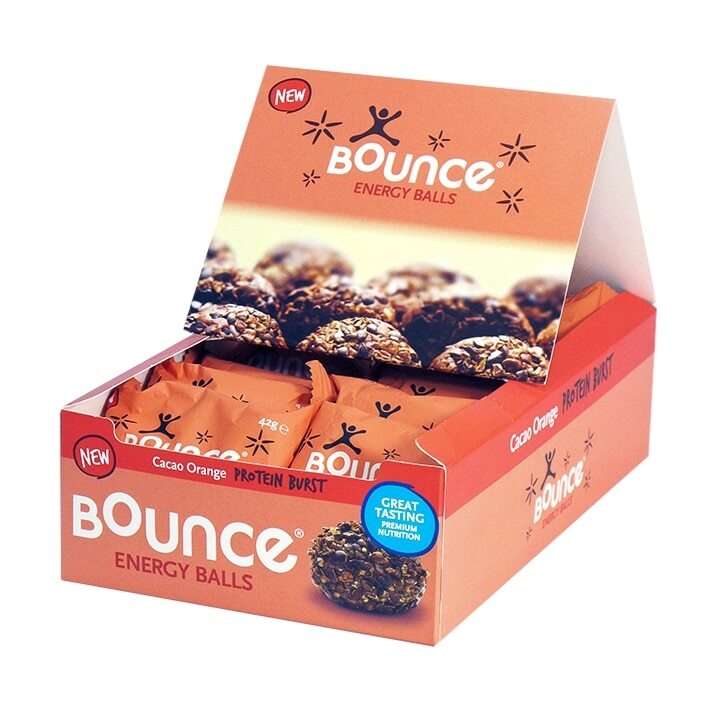 Bounce Cacao Orange Protein Ball is rated 4.6 out of 5 by 15. Rated 5 out of 5 by Ally229 from My favourite go to snack... The cacao orange is my favourite flavour. Not too sweet, but sweet enough. The cacoa nibs add a bit of texture and crunch, unlike other energy balls! Can be pricey when eaten regularly and not on offer! Rated 4 out of 5 by Lucy13 from Larger than i expected Having never tried an energy ball before i wasnt really sure what to expect but i really enjoyed this. I have a very sweet tooth and this to me wasnt sweet at all but i think because it had the cacao nibs on the outside somehow it didnt seem to matter too much. Denser texture than i was expecting and larger, almost too large for me to eat in one go but i managed it :p I enjoyed it and would happily buy them again. Rated 1 out of 5 by K14cycle from Not original product ! These used to taste great, got second lot taste rotten. old packet, its produced in USA new ones that are rotten made in UK. Also the nutritional levels have changed and are less healthier. Rated 4 out of 5 by Loop1980 from Normally amazing... I love these but the batch I bought tasted slightly off. I've eaten them as didn't want too waste my money. Rated 5 out of 5 by SleepyInsomniac from Tastey and does the job Tastes nice and gave me the energy i needed for my workout after work.